Sealing.Accurate sealing of pouch packing machineliketea,confectionery,wafers,snacks,powder. Vertical Continuous Pouch Sealing machine used for high speed bag sealing machine are available in different modal Vertical bag sealing machine, Vertical bag sealing machine. 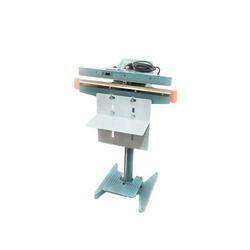 · Suitable for sealing all kind of plastic films. · Sealing length is unlimited. Using the best grade components, we are successfully manufacturing, trading, distributing, retailing, importing and supplying Foot Impulse Sealing Machine. Provide perfect sealing of tea, confectionery, wafers, snacks, powder pouches, this impulse sealing machine is specifically designed using high grade material and leading techniques. 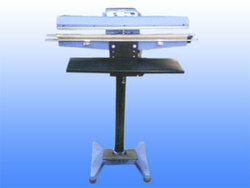 To meet the various needs of our customers, the offered impulse sealing machine is availed in different specifications. Being the leaders in the market, we are offering range of Manual Tube Sealing Machine. 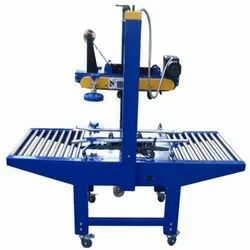 Use for sealing plastic tubes, manufactured using the top quality of material and advance techniques, our offered tube sealing machine is available in various sizes and other related specifications on customer’s demand. 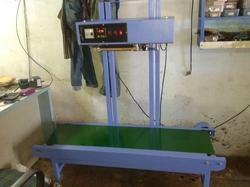 As well, this tube sealing machine is properly checked on various parameters to assure its flawlessness. 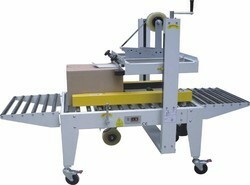 Slat conveyors with flexibility to travel in a curved path. 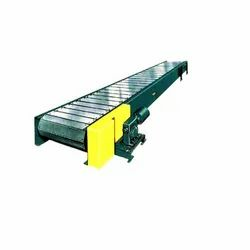 The conveyor is fitted with 2 strands of attachment chain Conveyors and folded sheet metal slat to convey heavy bags types of products. The chains are not only conveying components but also load carrying components. Variation with cleats at regular pitchs are also available for inclined applications. Variable Speeds, slow speed, special attachments are other features available.